Chris McClarney’s latest full-length album, Breakthrough, is a statement of profound hope and a declaration of faith. Each song is a reminder that God makes all things new and when we boldly surrender to Him, He meets us right where we are with a love and passion beyond our wildest dreams. McClarney's prayer for this collection of songs would be that all people would encounter the love of Jesus in every lyric and take hope in His goodness amidst any season. The album consists of 10 new original worship songs written for the local church. 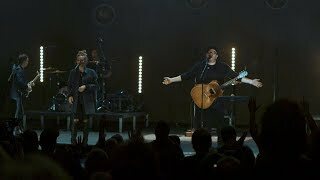 Recorded live in December, 2017 at Jesus Culture Sacramento, Chris was joined by Gotee Records artist, Hollyn, as well as members of the Jesus Culture Band. With hopeful anthems and captivating melodies, these songs will surely be sung throughout the church for years to come. 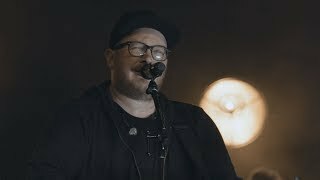 Gifted in the art of leading meaningful, congregational worship, Chris McClarney has quickly become one of the most influential worship artists of our day. Growing up in the church as a youth pastor's kid, McClarney met Jesus at a very young age. At 14, he began leading worship for a small group, which quickly led to full time ministry in local churches and inner-city ministries across Nashville, TN. McClarney currently serves as a worship leader at Church of the City in Franklin, TN. His powerful worship song, “Your Love Never Fails” connected with churches across America and rose to one of CCLI’s Top 25, as well as landing a #1 spot on the Billboard Christian chart. In 2015, he began his partnership with Jesus Culture Music releasing his live debut album “Everything and Nothing Less.” From that album, anthems such as, “God of Miracles” and the title track, “Everything and Nothing Less” were born. 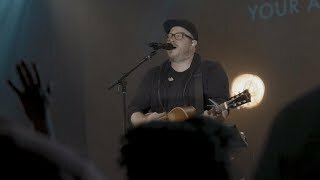 McClarney recorded his latest album, Breakthrough live at Jesus Culture Sacramento in a powerful night of worship. 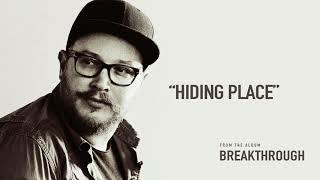 Breakthrough brings 12 new and original worship songs to the church. McClarney and his wife Jasmine live in Franklin, TN with their beautiful daughters Aliya, Caili, and Charlie. His passion and joy for worship flows out of his genuine love for the Lord. With music as his offering, his prayer is that the songs he leads will ignite hearts around the world in authentic encounters of worship with the Lord.